Estate planning often includes looking at who you have named as beneficiaries on your IRAs. 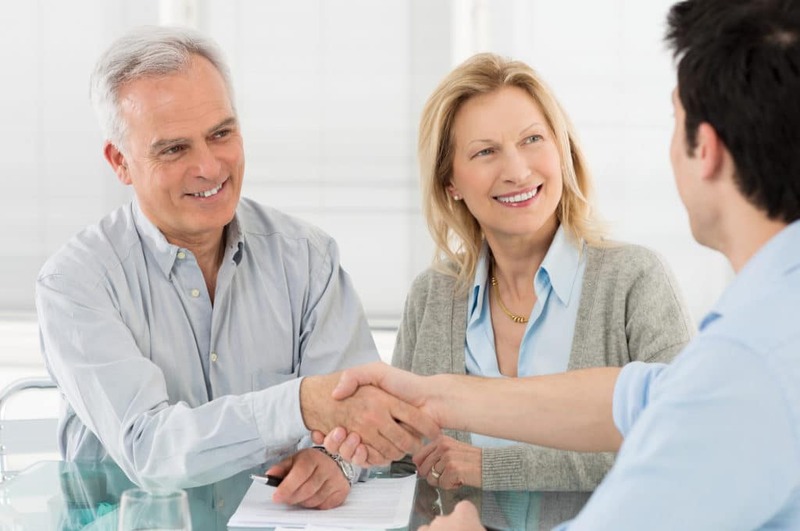 You want to be sure to discuss who to name, not only with an investment advisor but also with an estate planning attorney. You may not have thought about estate planning and your IRA as related parts, but they are. In fact, when structured properly, your estate plan can dovetail with your IRA perfectly. Mistakes can be messy and expensive for your heirs, and can create results that you did not intend. Part of estate planning is deciding who should be named as beneficiary of your IRAs. The good news with naming IRA beneficiaries is that IRAs with named beneficiaries avoid probate. Who should you name as a beneficiary? Here are some things to consider. If you are married, it is almost always best to name your spouse as the primary beneficiary. Spouses can roll over IRA assets into their own IRAs without having to pay taxes. This doesn’t mean taxes won’t ultimately be due; it just means that the rollover itself doesn’t generate taxes due. Spouses are the only folks that have this benefit. The secondary beneficiary (also known as a contingent beneficiary) spot is more tied into estate planning. The decision often needs to be made between naming humans (often children) or a Revocable Living Trust as the second beneficiary(s). Here are four things to consider if you are thinking of naming humans as the second beneficiaries. First, you will want to be certain your beneficiaries are able to handle what could be a windfall. If you have younger adult children, you may wish to think about providing layers of distributions. Second, naming minors as beneficiaries is rarely a good idea. Because minors can’t get money outright, someone needs to be court appointed to oversee those funds. You will not be able to choose who that someone will be. Also, the courts will typically put the IRA money into a restricted account that cannot be used to help raise the child. The child gets all of the IRA money at 18, by law. Imagine the decisions that could be made with that money by an 18-year-old when the child comes of age. Third, do not name a disabled or special needs person as a beneficiary. Any inheritance can potentially hinder government or other aid needed for this person to live, get treatment or gain an education. There are strategies to help these vulnerable adults that will not interfere with their government benefits. Fourth, keep in mind if the human named as a beneficiary dies prematurely, chances are that human’s spouse will receive his/her IRA inheritance from you. Although this seems to say that you should not name humans as your beneficiaries, the truth is, that humans named as IRA beneficiaries receive the best tax treatment. Humans are given a whole menu of choices on how to take their IRA inheritances. Although money put into an IRA pre-tax will need to be income taxed when it is pulled out, human beneficiaries can spread out the income tax over a number of years. Many people name a Revocable Living Trust (which is an estate planning creation) as the secondary beneficiary of an IRA, instead of humans. By naming the Revocable Living Trust, you avoid issues with minors, immature heirs, special needs heirs and spouses inheriting your IRA assets. A Revocable Living Trust can lay out a payment plan for distributing IRA assets to minors and other immature heirs. A Revocable Living Trust can include a Special Needs Trust, which will protect a special needs adult’s government benefits while allowing him/her to receive the benefits of the IRA assets. A Revocable Living Trust can specify who gets assets if someone dies prematurely. These are all great benefits. However, Revocable Living Trusts are not given a whole menu of choices on how to have the IRA inheritance distributed to the Trust. Usually, a Revocable Living Trust can elect to receive the IRA assets outright or paid out over 5 years and at a higher tax rate than an individual would pay. Basically, Uncle Sam says you have 2 choices: 1) You can name humans as beneficiaries on your IRA and have great tax treatment. But, you will not be able to control how those humans get the IRA assets and who gets the IRA assets if those humans die prematurely; OR 2) You can name a Revocable Living Trust as a beneficiary on your IRA and have lousy tax treatment. But, you will be able to control how everyone gets the IRA assets and who gets those assets if your intended folks die prematurely. So, you can get great tax treatment and lousy control, or you can get lousy tax treatment and great control, but you can’t have both great tax treatment and great control. You have worked hard to save and invest your nest egg. Make sure you make decisions about IRA beneficiaries with all of the possible information available. I will be happy to help you put together a Revocable Living Trust if that is what you need to best pass on your IRA assets. Call me today.